Chronicle Books was looking for another excuse to throw a party, so we had a First Floor Picnic this week. An indoor picnic complete with red checked tablecloths, sunglasses, icy beer and a pie contest. 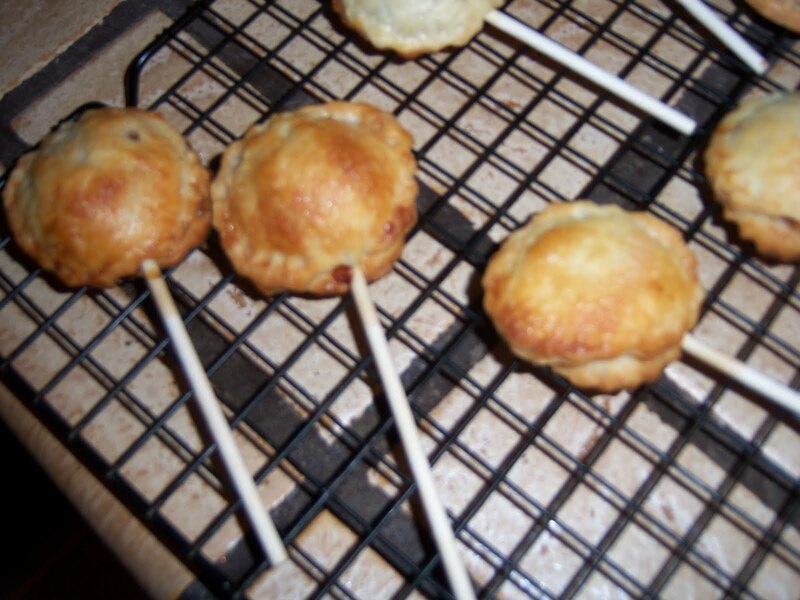 I was looking for an excuse to make Bakerella's PiePops, and this was it. 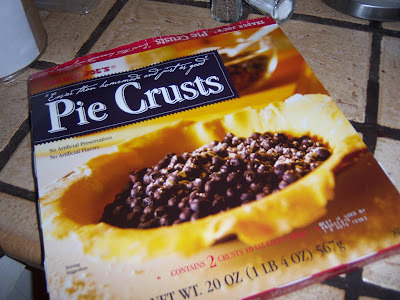 ...such a store bought pie crust. Yes, I usually make my own and am all smug about it, but I needed a time-saver and these frozen crusts worked like a dream. I also had some leftover charoset in the fridge. Charoset is Passover dish made of apples, nuts, wine sugar and cinnamon - which seemed to me to be a pretty good filling for a pie. 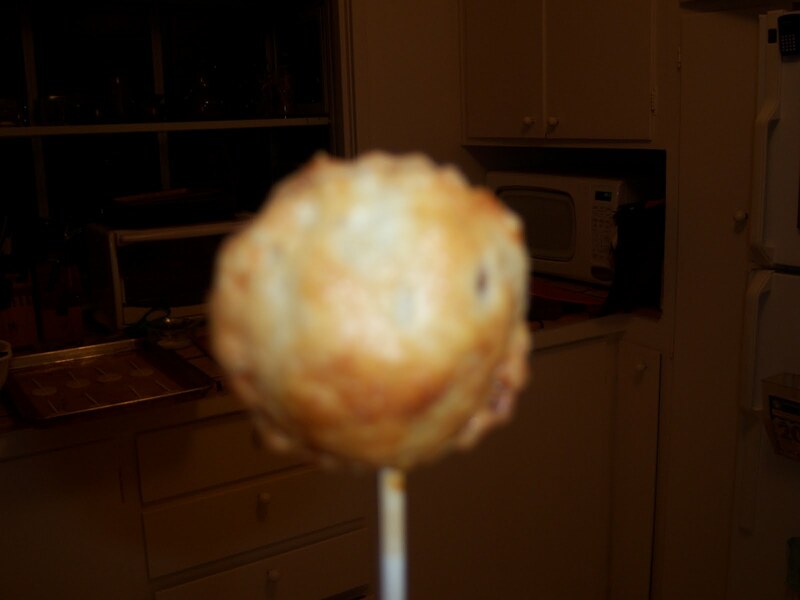 But, the mixture was a little dry and wanted to be "goopier" to be a proper filling, so I added a couple of good dollops of jarred caramel sauce. Parfait! 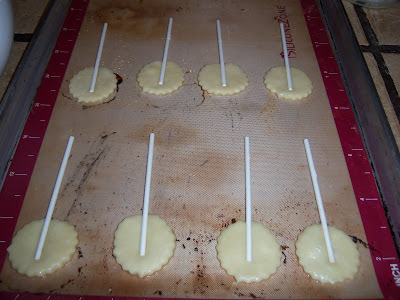 I cut out little ridged circles of dough with a biscuit cutter and put them on a silpat-lined baking sheet. Put a little dollop of filling in the middle of each pie, then top it with a 2nd piece of dough. 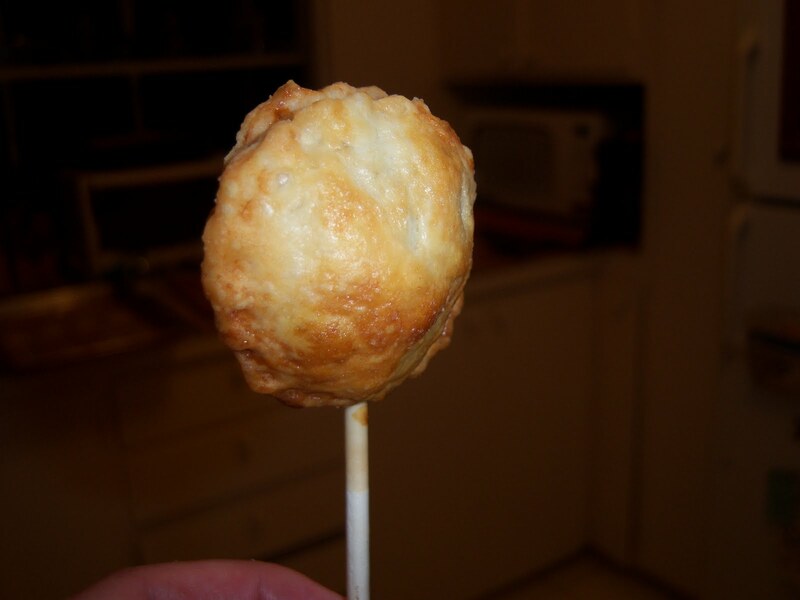 Seal the dough with the end of a lollipop stick. Bakerella uses the side of the stick and goes all the way around. Me, I took a shortcut and just poked 'em. 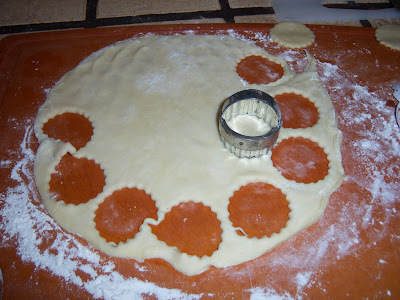 Then brush with cream or egg wash or cream and sprinkle with sugar. Ready for a bite - yum! And guess who won that pie contest.... ME!